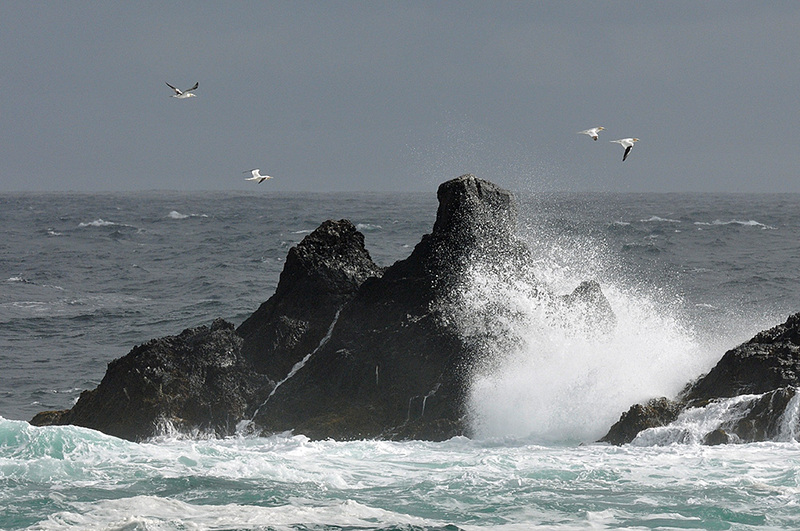 A view from Port Wemyss in June 2013, Gannets passing the rocks at the southern end of Orsay on a breezy day with a big swell coming in from the Atlantic. This entry was posted in Cloudy Weather, Landscape, New Post, Sunny Weather, Wildlife and tagged Gannet, Islay, Orsay, Port Wemyss, Rhinns of Islay by Armin Grewe. Bookmark the permalink. Lovely image. I’m always looking at gannets around the coastline of Scotland. Amazing birds to watch especially when fishing. Enjoying your record of Islay. I agree, they are wonderful birds to watch, but so tricky to capture in picture when they’re fishing…. Wow, that must have been quite a sight! I had an Otter at Saligo Bay 20 feet away from me casually going over the beach. While I had a camera it was getting too dark to use it. Still an amazing memory though.